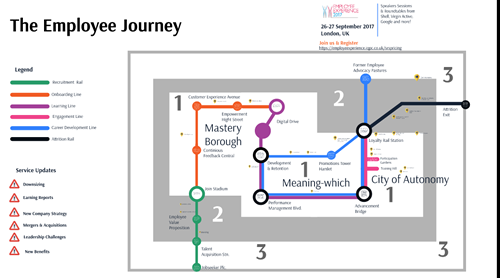 The lifeblood of the organisation is the employee, making employee journey-mapping a crucial part of the HR toolset. You can take the employee experience journey on your own terms with this zoom-able and interactive Prezi presentation. With real world examples and data featuring engagement, the Employee Journey prezi will take you from the candidate stage, to their onboarding, training, and upwards to their promotion or exit interview. An employee's journey through an organisation can enhance their engagement, loyalty and brand delivery. Be with them on their journey, today.